Any updates regarding this? I want to put everything into one order. Most spacers should arrive tomorrow (they should arrive last week,but delays as usual), FET switch is in final phase of testing(firmware is finished),I need to make lisitngs for everything,so you can count on the end of this week for all. Man this is exciting. You got one of the most interesting drivers already, but I’m just spoiled by e-switches. I’m also waiting for an e-switch driver. Not in a hurry though, but i need one for my Sofirn / Convoy C8 triple. Don’t want DD FET driver. What about the 30A drivers? It’s hard to stay patient :). You mentioned before that 18AWG wires were the thickest that fit through the hole in your drivers. Can you tell me the actual outer diameter of the those wires including the insulation that you tested? There’s a company here in Germany which sells wires with an especially thin silicone insulation. 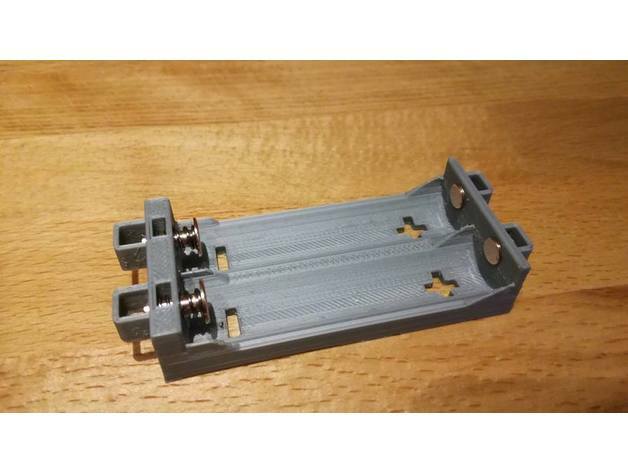 Another question: will you put a specially prepared spring on the FET switch and 30A driver so they actually work with 30A and the voltage drop is kept small? I have more than usual number of orders,so this is causing some delays with releasing new stuff. I will check hole diameter. There will be option to solder bypassed steel spring, unfortunately this is best solution for now (I have design idea for spring that would make bypassing obsolete,but just 10 prototypes costs 800$, so this will have to wait for some time). Could you name the company? How do the wires compare to teflon ones? Could you name the company? How do the wires compare to teflon ones? I haven’t tried the cables from this company (Nessel Elektronik) yet, but I plan to. They were recommended by some modder(s) in the German flashlight forum. The cables with the thin insulation are called “NeG”, “N” or “GG” (not “EG”), see here . The cables are produced here in Germany. Teflon wires are more difficult to use because they are less flexible and it’s more difficult to remove part of the insulation for soldering. @led4power, what do you mean by a spring which could make spring bypasses obsolete? The absolute highest current option will always be a bypass, but I am still very interested in your idea. Edit: Well, except for a solid contact, but that does mean cell tolerance is greatly reduced, along with the potential for shock absorption. Thanks! That’s indeed very thin for silicone, though doesn’t get to the teflon range. No, the absolute highest current option is springless contact. Like DQG Tiny or Lux-RC FB1. It’s pretty easy if you can restrict battery size or create some carrier. Look at vape mods. @led4power, what do you mean by a spring which could make spring bypasses obsolete? The absolute highest current option will always be a bypass, but I am still very interested in your idea. Edit: Well, except for a solid contact, but that does mean cell tolerance is greatly reduced, along with the potential for shock absorption. Resistance should be as low as bypass, while maintaining "springiness" as typ. spring,it's not solid contact. I'm really sorry, I forgot about your question, 18AWG wire I used has 2.3mm outer diameter and 1.1mm core diameter. I’m really sorry, I forgot about your question, 18AWG wire I used has 2.3mm outer diameter and 1.1mm core diameter. I was actually thinking about the availability of your new products. Small question: Would the Samsung LH351D emitters fit on your MCPCB for the BLF Q8 despite having a 3535 footprint while the MCPCB only has 4040 or 5050 footprints? Thanks for the info, but I still would prefer a board with emitters soldered to it as I don’t have a proper setup to solder them myself. Thanks! I was actually thinking about the availability of your new products. Sorry about that too, I've been so busy last 2-3weeks, that's why there is delay. Take your time! I like your products because you do things the right way. This will be the first safe 30A single-cell flashlight (when using an actually 30A capable battery, there aren’t many). Have you thought about adjusting the low-voltage warning in the regulated modes above 12A? It might come on too early at 30A because of the voltage drop in the cell. If any future version of the LED4Power firmware had a blink out for voltage I would love that. Some of my lights sit for a while between uses and I cant remember what voltage I left it at. Some of my lights sit for a while between uses and I cant remember what voltage I left it at. I mean you are part of the problem. Making unique parts so I build more than I can use! Maybe a little pocket multi meter with fixed pins and I can unscrew the head and just lay it over bat + and the tube? PS; I should have a build for C8TT in a week or two. Going to use 2 different Luxeon MZ emitters and LD-B4 driver, quite excited about this one. I can add some voltage readout,that's no problem. I will need to make some kind of wish-list of features for future drivers. By the way, when you have linear CC driver (not fet DD) you can easily see when battery is not fresh, because high mode fades, while all other modes remain constant. Take your time! I like your products because you do things the right way. This will be the first safe 30A single-cell flashlight (when using an actually 30A capable battery, there aren't many). Have you thought about adjusting the low-voltage warning in the regulated modes above 12A? It might come on too early at 30A because of the voltage drop in the cell. I doubt any LED will draw 30Amps when battery voltage drops <3.5V,and at 3.0V (LVP1) current should drop to more sane levels, so I think LVP correction is not needed. This correction should be different for each battery which is difficult to implement. Take your time! I like your products because you do things the right way. This will be the first safe 30A single-cell flashlight (when using an actually 30A capable battery, there aren’t many). Have you thought about adjusting the low-voltage warning in the regulated modes above 12A? It might come on too early at 30A because of the voltage drop in the cell. Maybe also a few 26650s.